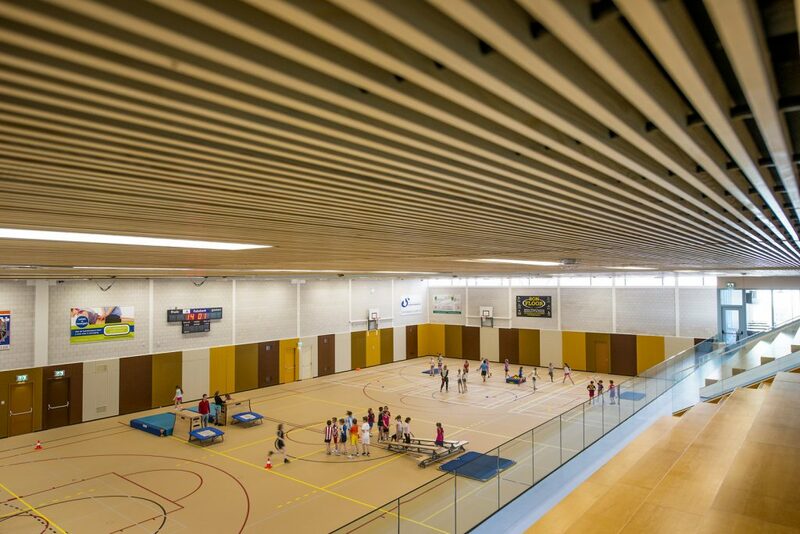 Grille® elements for partition and ceiling exist from wooden slats linked by cross-links. The slats are made of solid wood or OSW ESW laminated wood. Both can be equipped with a colour stain or clear coating or opaque colour. At organic solid wood OSW the natural properties as knobs, tassels and discolouration’s are visible. 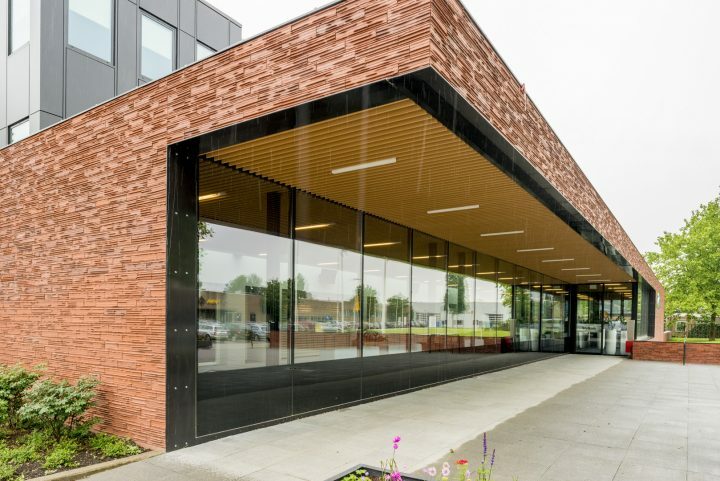 The structure is a mix of dosse and quartier sawn timber. 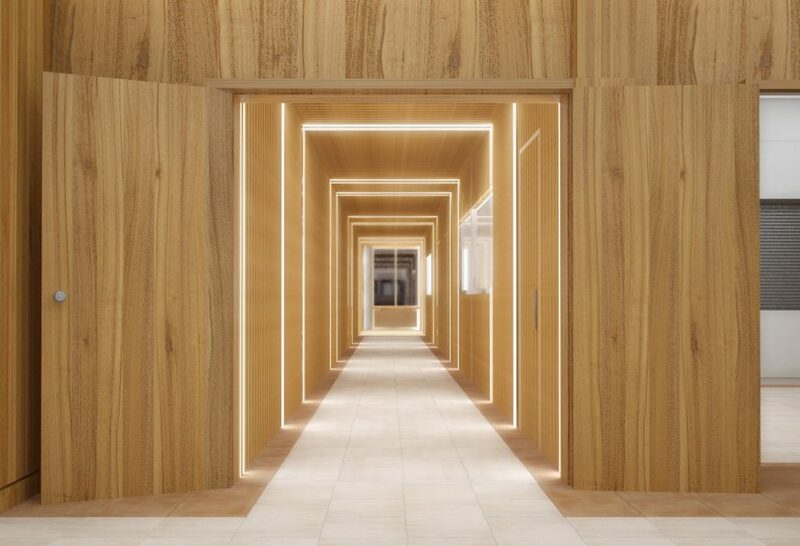 Because solid wood is naturally distorted the height and width of the shelve size is limited. Fire safety by impregnation and/or a fire retardant paint system. 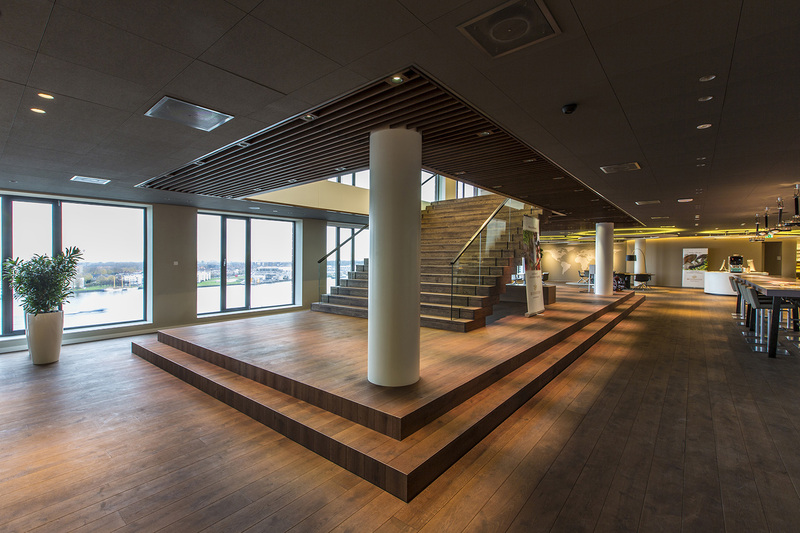 At engineered solid wood ESW you can choose from many types of wood (dosse or quartier). And also a HPL/melamine décor is possible. By the form stability there is more freedom in the height and width dimension of the shelves. 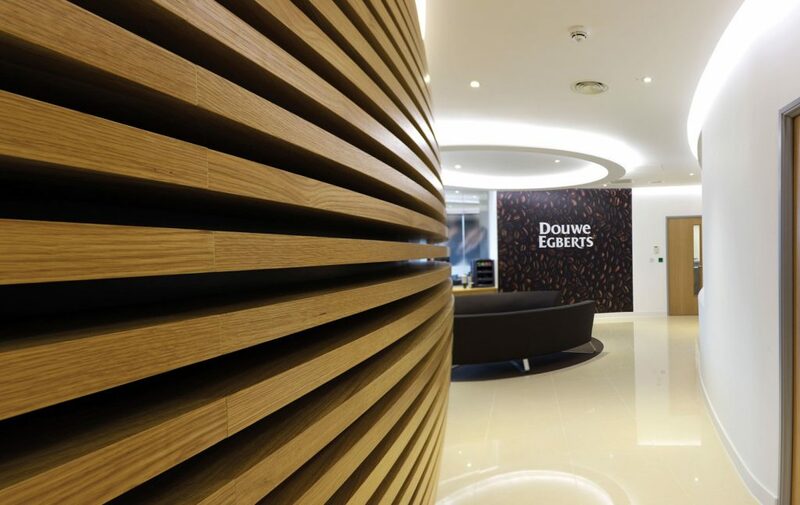 Fire safety by the MDF FR core in combination with a fire resistant paint system. For absorption of sound energy on the Grill element fire retardant polyester wool is applied. This canvas also hides the technique above the ceiling and prevents building dust. 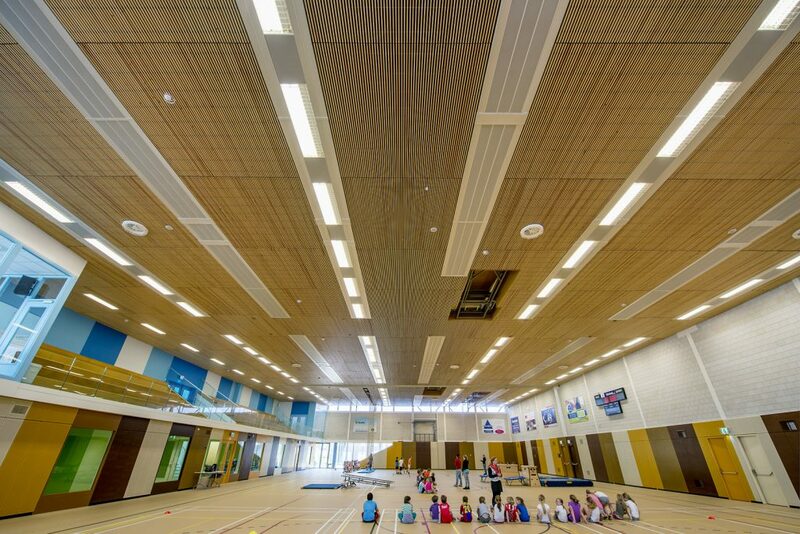 Sound energy is absorbed through the “open space” between the panels which ensures acoustic comfort. Grille ® dowel – Consists of slats connected by a 12 mm black aluminium rod. The element is clipped off with a metal clamp from below on a black T-24 profile. Suitable for ceilings where dismounting sporadically occurs. Grille® backer – The milled slats are connected to black plywood cross connections with glue and staples. The element is screwed on a lath of wood or metal. By the screw method each element can be individually disassembled. Especially suitable for schools and sports halls. Suitable for walls and ceilings. 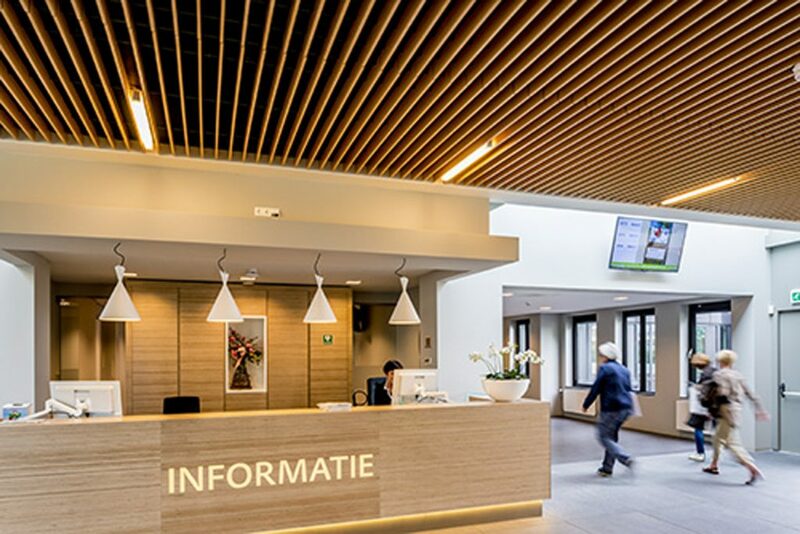 Grille® cassettes mounted on a system ceiling existing from black T-24 profiles in a partitioning of 600 x 600 mm or 1200 x 600 mm. The ready-made elements are mounted from below. Each element is individually removable. finish: colour stain/lacquer mat or gloss/RAL or NCS colour. version: height/width and spacing of the shelves. 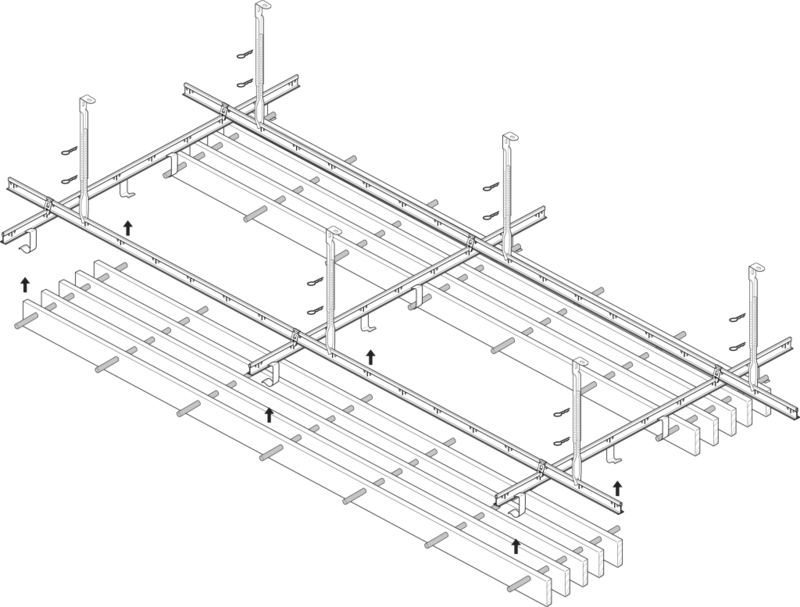 For the maximum visibility of the slats it is the first rule, that the altitude of the slat is more or less equal to the gap. 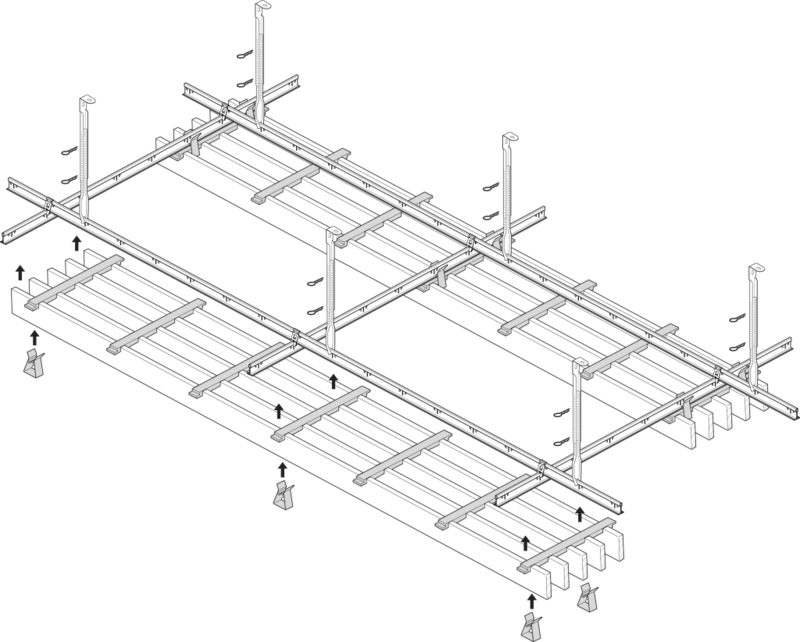 For example, a slat with a height of 70 mm and a width of 17 mm is best visible when the spacing varies between 50 and 90 mm. 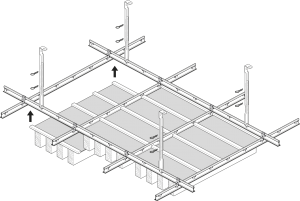 The number of slats per element depends on the dimension and the intermediate space, where the total weight of the element determines the total width. As a rule the dowel and backer elements have a breadth of approx. 300 – 450 mm. The length of the elements depends on the space. The aim is to limit the number of measures of length to material wastage and a create a quiet image. We gladly advice and help architects during the design phase. Then samples are created to visualise the design.